"The gifts of long life and the talent to live it rewardingly do not go to many. Ms. Brodhead is quite simply a phenomenon." Quita Berl Brodhead was born in 1901 in Wilmington, Delaware, the youngest of seven children of a successful industrialist and importer. Her given name was Marie Waggaman Berl, but her father liked to call her Mariequitta ("little Marie" in Spanish), which she later shortened to Quita. She first learned to sketch at a convent boarding school in Suffern, New York. Becoming interested in art, she convinced her family to let her enroll at the Pennsylvania Academy of the Fine Arts in 1919, where she studied until 1924. "Carles was a voice crying in the wilderness, trying to persuade a petulant public to open their minds just a crack to a new idea. In his classes you were not only allowed to have ideas, but encouraged to. He thoroughly instilled in us the excitement of exploring the ideas with a completely different vocabulary, releasing us from the staid fetters of academia." In addition to introducing her to Modernism, Carles taught her to create form with color and to understand color as dimension and volume. He believed that colors had a spiritual existence, and showed his students the ways in which colors vibrated in relationship to one another. After Carles left the Academy in 1925, Brodhead and a small group of former Academy students began studying privately with him. They rented a studio on Chestnut Street, hired models and arranged for Carles to visit on a regular basis to critique their work. Brodhead continued to work with him off and on until 1941, when he suffered a debilitating stroke and was no longer able to paint. Besides studying in Philadelphia, Brodhead traveled to Europe for three summers beginning in 1922, where she painted at the Academie Julian and La Grande Chaumiere in Paris. She also studied with Alexander Archipenko in Woodstock, New York, during the summer of 1927. Through him, she began to introduce geometric forms into her work. Later that year she married Truxton Brodhead, a steel salesman, and moved to Wayne, Pennsylvania. She continued to paint, and soon received her first and only mural commission for St. John the Divine Episcopal Church in nearby Bala Cynwyd. Throughout the 1930s, she focused primarily on figurative work, particularly portraits and nudes, as well as still lifes and landscapes. 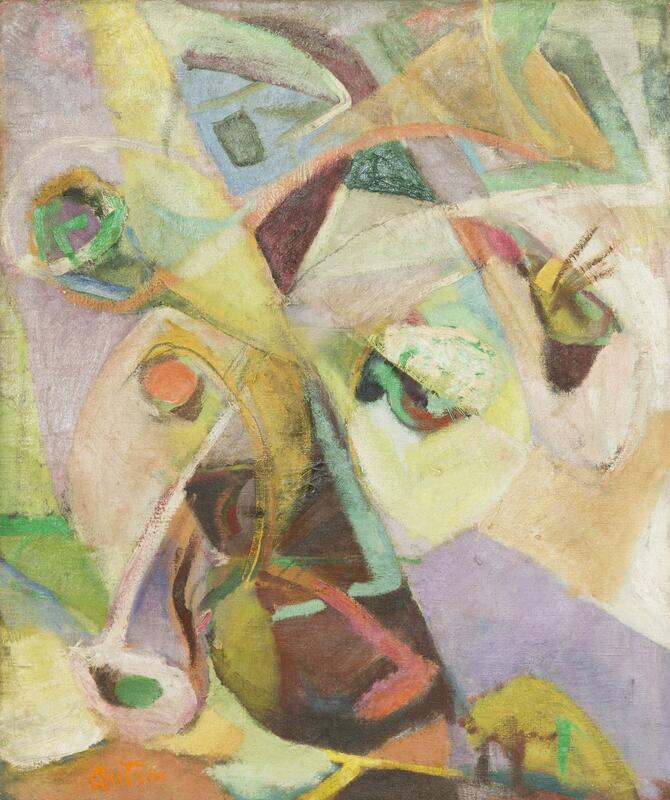 Her first solo exhibition was in 1938 at the Charles Morgan Gallery in New York, where she was hailed as a "buoyant feminine talent." Another critic wrote that, "Her canvases are big and loose and fresh. They have a poetic quality." 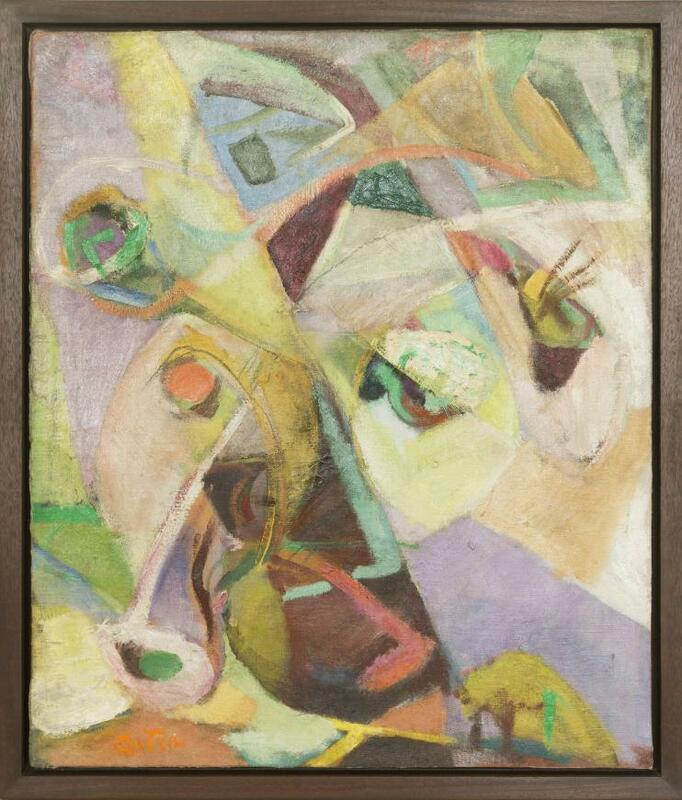 Several other solo exhibits followed, and she also contributed to group shows at the Pennsylvania Academy, where she won a Gold Medal in 1943. During the 1940s, her work became increasingly abstract, though she still concentrated on figure painting, still lifes and landscapes. In 1949, she moved to France with her children to escape an unworkable marriage. For the next fifteen years, she lived and worked in Paris, Rome, Greece and the Canary Islands. While there, she exhibited at the Salon d'Automne in Paris, Galerie Appunto in Rome, Galerie Internationale in New York City and the Society of Fine Arts in Santa Cruz, Canary Islands. Returning to the United States, she moved back to Wayne, Pennsylvania, into a house that she had designed for herself and her family in 1939. In the next thirty years, her work evolved in several directions. Many of her paintings from the 1980s incorporate ideas that she developed a decade earlier, but the forms are softer, more biomorphic and atmospheric. 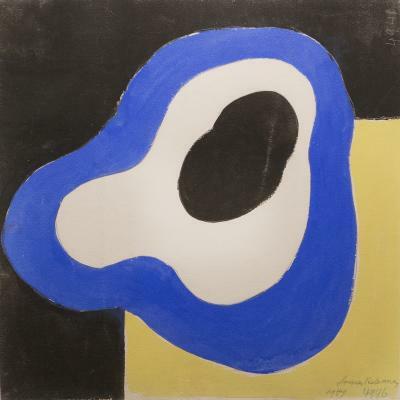 Inspired by recent discoveries in science and technology, her late work moved towards greater simplicity and purity, suggesting essential forms of the cosmos. 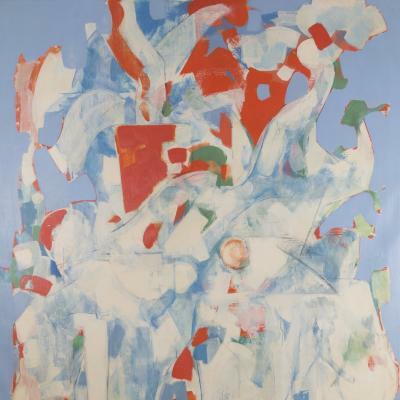 Through it all, Brodhead remained true to the modernist principles of her youth, in which color and form express meaning, emotion and transcendent values. During her long and productive career, Quita Brodhead had nearly forty solo exhibitions and has had paintings included in dozens of group shows in New York City, Philadelphia, Washington, D.C., Paris and Rome, among other locations.